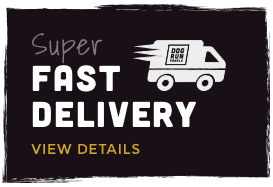 We are dog kennel manufacturers in the UK producing the finest insulated kennels on the market. 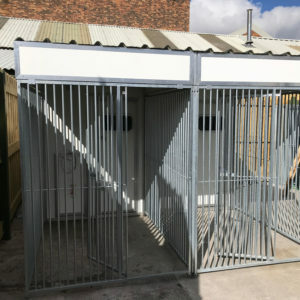 We set out to manufacture the best thermal dog kennels with good thermal properties and a product that is easy to clean and will perform for many years. Our composite is thicker than any other kennel manufacturer and its more structural than our competitors. 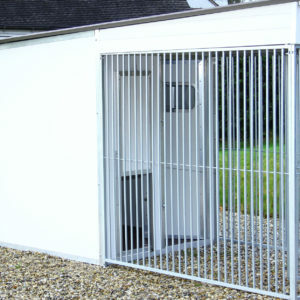 We very much wanted to build a premium kennel that exceeds expectations. 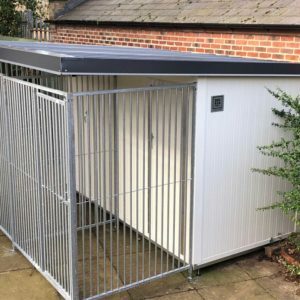 Our team have many years experience in building and installing commercial kennels for boarding kennels, charities, the police and army and we have the knowledge to supply a dog kennel that is fit for purpose. If you are in the market for a new kennel then please get in touch.